Accommodation options in Bangkok are abundant and often variable in quality and price. However, the Thai capital can still be considered one of the cheapest destinations to stay in South East Asia. Rates for higher end hotels are usually around USD 60, but there are some upmarket options from USD 40 a night. Mid-range hotels can cost around USD 25-30 per night and budget options can be booked from around USD 10. One of the best things about Bangkok, as far as accommodation is concerned, is that many of the mid-range and high-end options have a swimming pool, which is very much appreciated in such a humid and hot city. Bangkok has innumerable luxury hotel options. But hostels, inns, and budget hotels are even more ubiquitous in a city traditionally focused on young, budget-minded tourism. 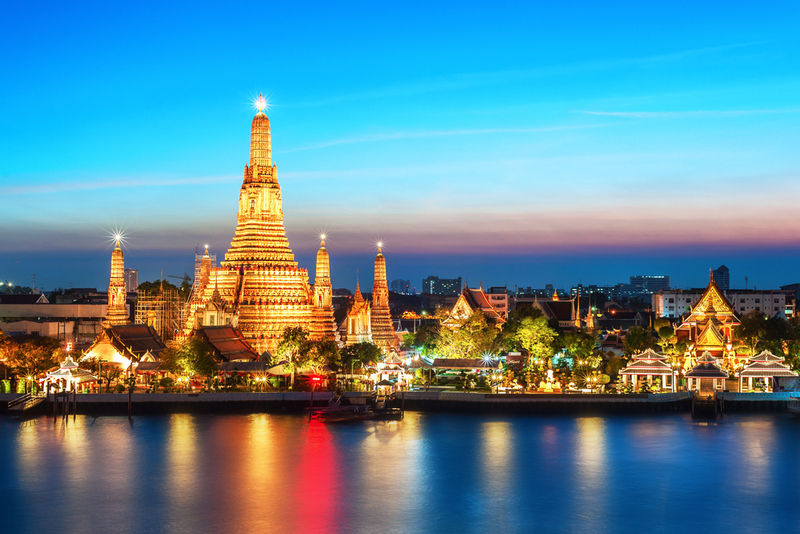 You will find cheaper rates during the months of August to November, however, these months are not the most advisable for a visit to Bangkok due to the presence of the monsoon, which brings torrential rains and humid heat. The cheapest hotels tend to be around the backpacker areas of Khaosan and Chinatown and the most exclusive top-notch options are usually found around Sukhumvit and Pathumwan. 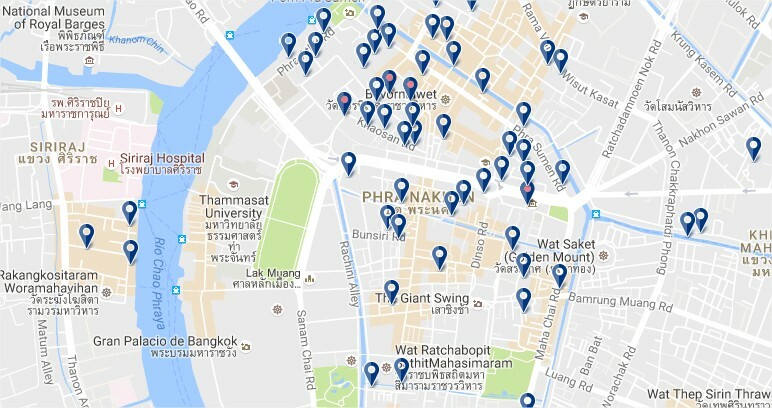 If you’re wondering what the best areas to stay in Bangkok are, do not worry; here you’ll find a breakdown of the main districts of the city and a hand-picked selection of the best properties divided into three categories: Budget, mid-range and luxury. It comprises a large number of neighborhoods in central Bangkok. It is an immense area, connected by all the metro and suburban systems of Bangkok (MRT, SRT, and BTS). Being the best-connected area of the city, this is normally the most recommended area to stay in Bangkok. 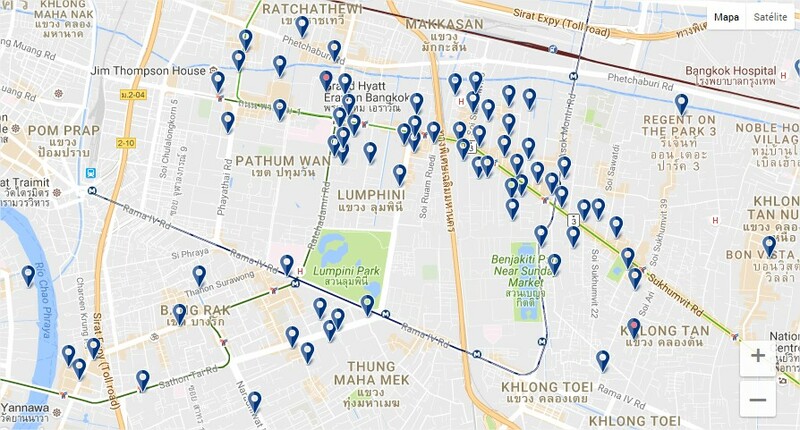 Below you will find the breakdown of several of the areas included in the center of Bangkok. Sukhothai Residence Ruam Ruedi is a budget hotel with great value for money and with a pool, located in the convenient Pathumwan area, near public transport options. – from USD 49. Centre Point Chidlom is located in the Lumphini Park area. It has a minimalistic décor and hard-to-beat-location. It also has a gym and outdoor pool! – from USD 59. Next to the Chao Phraya river and located just north of Chinatown, the Old Town (Rattanakosin) is home to many of the top tourist attractions of the city. Including the most famous and revered temples and palaces. Places of interest include the majestic Grand Palace, the stunning beauty of the Temple of the Reclining Buddha, and the traditional monasteries Wat Pho and Wat Mahathat, the latter widely regarded as one of Thailand’s first universities. The historical park Sanam Luang which traditionally hosts important royal and Buddhist ceremonies, and the National Gallery can also be found in this area. Tim House is a very simple, backpacker accommodation, located in the old part of Bangkok. It has a friendly atmosphere and simple (and cheap) rooms. – from USD 11. Prince Palace Hotel is a great mid-range hotel with a swimming pool located in the historical quarter of Bangkok. – from USD 44. Banglamphu is a neighborhood that is well worth a visit on any trip to Bangkok. Although Backpacker Mecca Khao San Road is the most famous landmark here, the area near Phra Athit Road is much more eclectic with lots of bohemian bars and nice restaurants and a mix of young Thais and foreigners. It is located right next to the Chao Phraya River and has a small park and some restaurants and cafés to relax. Trang Hotel Bangkok is a three-star hotel not far from the backpacking area of Khaosan Road. It has a swimming pool and simple, clean rooms. 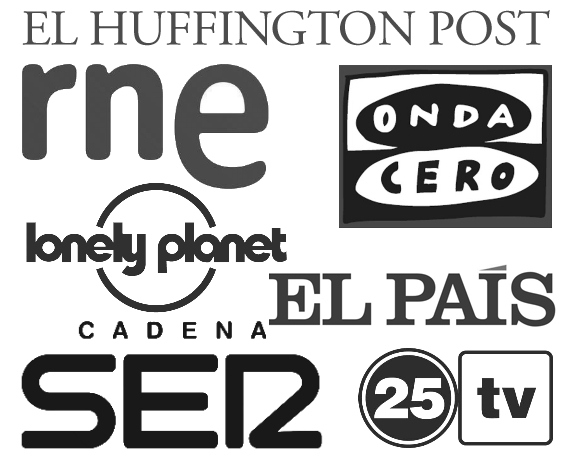 – from USD 29. Buddy Lodge is a mid-range hotel with very high quality located on Khaosan Road. The rooftop pool is an experience to be had. – from USD 59. Sukhumvit Road Bangkok’s main artery. This long avenue, which actually extends from here all the way to Cambodia, is the central street and one of the top tourist area of the city. It is home to excellent hotels, the best restaurants, bars and plenty of nightlife, as well as shops, cinemas, public transport, and everything that any visitor may need. Better Bed is a super cheap hotel in Bangkok’s city center. It has simple rooms and very budget friendly fares. It also has a 9/10 rating on the booking engine. – from USD 20. Hotel Clover Asoke is a little gem of a hotel. It is an uberchic boutique property located near Asok station. It has a 9.3/10 rating, so it’s one of Bangkok’s favourites. – from USD 59. Pathumwan has it all and it’s in the middle of the city. Some of Bangkok’s most exclusive hotels are located here, such as the Muse Hotel. Local and international food options are infinite and you can spend the whole day shopping at its many malls. K Maison Boutique Hotel is a nice, no-frills hotels with lovely décor and located in one of the best areas to stay in Bangkok. – from USD 44. Grande Centre Point Hotel Ratchadamri is a great sperior quality hotel with an amazing pool nearby Ratchadamri station. – from USD 59. 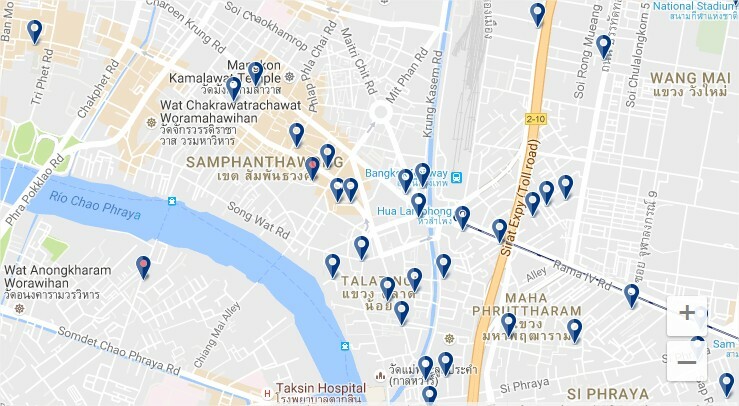 Much of Bangrak is on the Chao Phraya River, where you can find some vestiges of why Bangkok was known as the “Venice of the East”. Bangrak also has plenty of restaurants and romantic places to watch the sunset and the river go by. This area is halfway between the central business district and Lumphini Park, Bangkok’s largest urban green oasis and a wonderful place to escape the hustle and bustle of the city. Grand Sathorn is a very high quality hotel with very low prices, located nearby the Saphan Taksin station. – from USD 44. Hotel Furama Silom is located on Silom Road, one of Bangkok’s liveliest places. It’s a four-star hotel. – from USD 49. Sathorn is an elegant district located in between the area southwest of Lumphini Park and the river. It is a pleasant upscale neighborhood that concentrates a good amount of embassies, private housing estates and luxury condominiums. It is well connected by MRT and BTS and, despite being next to the lively Silom district, it is a quiet and residential area. The nearby Lumphini Park offers an oasis of tranquility amid the asphalt jungle that is Bangkok. 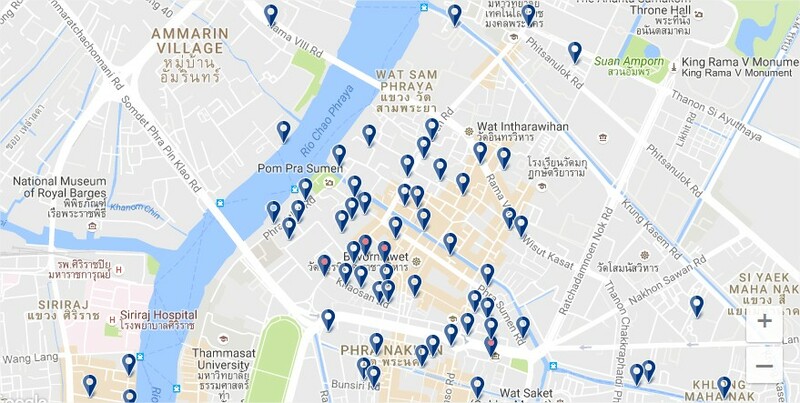 The shopping areas of Siam are located just two or three stations away. 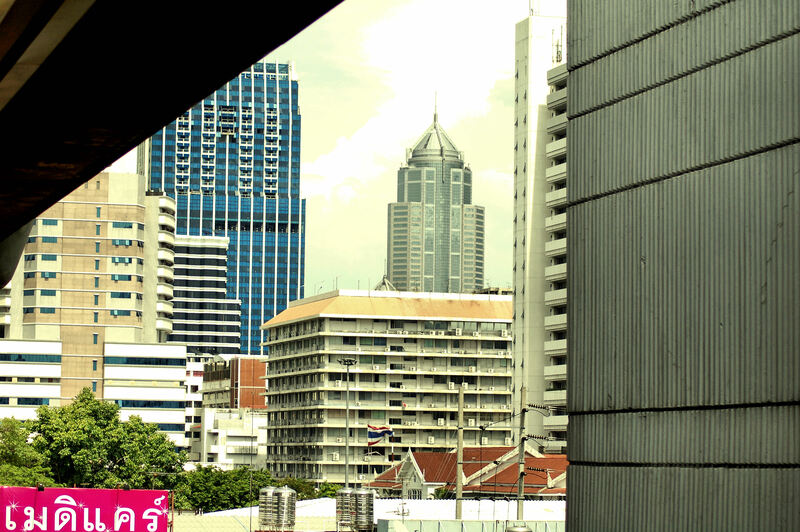 Aim Sathorn Hotel is a budget hotel in Sathorn. Located 12 minutes walk away from MRT station Khlong Toei. It has simple and clean rooms. – from USD 26. Aetas Lumpini has an ideal location, near Lumphini MRT station. It’s a superior hotel with a rooftop pool. – from USD 64. Undoubtedly, one of the most vibrant districts of Bangkok, Chinatown has it all. It is one of the best places in town to get lost in its narrow, pedestrianised streets lined with charming shop-houses. From temples to commercial galleries to spectacular gastronomy, Chinatown should be a must-see on any Bangkok itinerary. Hotel Royal Bangkok@Chinatown is a four star hotel with budget-friendly rates located in the Chinatown district of Bangkok. It has an outdoor swimming pool.- from USD 34. Centra by Centara is located next to the main railway station in Bangkok. It has a futuristic design and spacious rooms. – from USD 44.